Do your kids like to follow in their father’s footsteps and want to be just like him someday? 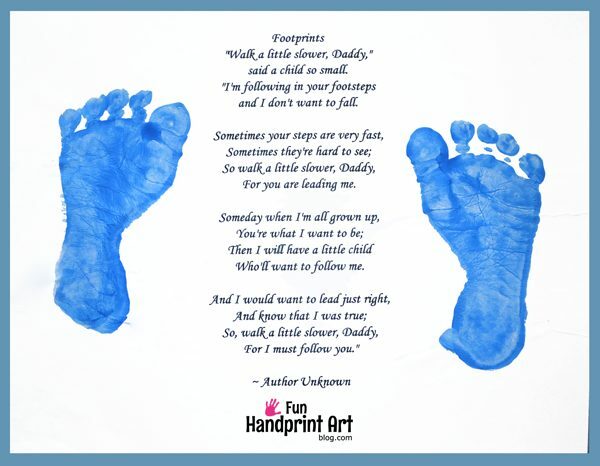 Here’s the most precious footprint poem titled “Walk a Little Slower Daddy” that makes the sweetest Father’s Day gift. Check out our free printable Father’s Day crafts here for even more inspiration! This makes a great keepsake for Daddy! To make this Footprints with Poem Craft, first print or write the poem on cardstock (for the printer). 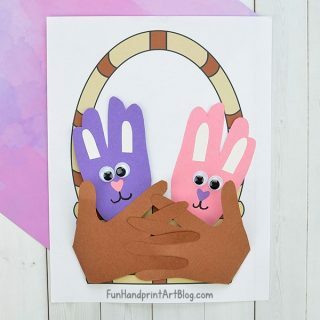 Glue it to a piece of construction paper or cardstock to give it a frame. 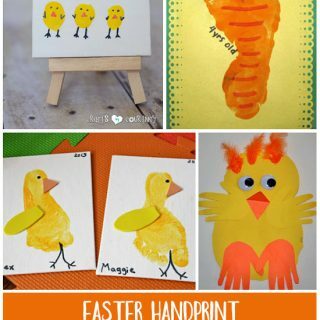 Next, paint child’s foot in color of choice and press onto paper to make a perfectly cute footprint. Repeat with the other foot. Don’t forget to put the child’s age, name, and the date. Besides Father’s Day, this makes an awesome birthday or Christmas present. This “Walk A Little Slower” Follow in Father’s Footsteps Poem Keepsake would look great placed in an 8 x 10 picture frame or displayed on the refrigerator! The link that is supposed to lead to print the Footprints poem for Dad does not work.